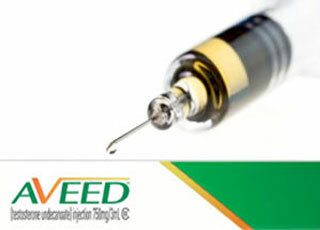 Endo Pharms. Sols., Inc. v. Custopharm Inc., — F.3d —, 2018 U.S. App. LEXIS 19265 (Fed. Cir. 2018). Endo’s injectable testosterone Aveed is listed in the Orange Book as being covered by Bayer’s U.S. Patent Nos. 7,718,640 and 8,338,395. Endo and Bayer sued Custopharm after it submitted an Abbreviated New Drug Application (ANDA) to produce a generic version. (Under 35 U.S.C. 271(e), submission of the ANDA is an act of infringement). On appeal, the Federal Circuit has sided with the patentee — affirming the district court judgment of validity. The claimed invention here requires the use of testosterone undecanoate (TU) at a concentration of 250 mg/ml in a vehicle containing a mixture of about 40% castor oil and 60% benzyl benzoate. (Claim 1 of the ‘640 patent). Three key prior art references are all research articles that report using the same concentration of TU and also the castor oil. The prior-art articles do not, however, actually report that benzyl benzoate was used — it turns out though that the researchers (including one overlapping listed inventor here) used the same 40/60 split of castor oil and benzyl benzoate. The asserted claim 2 adds a limitation that 750 mg TU is injected — the articles describe the use of 1000 mg.
limitation at issue necessarily must be present, or [is] the natural result of the combination of elements explicitly disclosed by the prior art.” Par Pharmaceutical, Inc. v. TWI Pharmaceutical, Inc., 773 F.3d 1186 (Fed. Cir. 2014). In this case, we know that 60% benzyl benzoate concentration was actually present in the prior art experiments, but that knowledge was not expressly part of the prior art. Thus, the court focused on whether the existence of benzyl benzoate was necessary based upon the prior art itself. From that frame of reference, the elements were not inherently disclosed by the prior art. The district court reasonably found that this was not enough “to establish [with clear and convincing evidence] that the Articles barred the possibility of an alternative vehicle being used in the prior art compositions” to meet the rigorous standard of inherency. Prior Publications Compared with Prior Uses or Sales: I believe that this case could have come out differently if the challengers had been able to rely upon the uses in the experiments as prior sales or public uses. In those circumstances, the question would focus on what was actually in the injection rather than what was publicly known or disclosed about the injection. My conjecture here appears to be based upon alternative facts since the articles in-question stem from research studies and so were likely sufficiently protected by secrecy and experimental use limitations. The other question here is what to do about the fact that Bayer (or its predecessor) was involved with the prior art articles. Here, Doris Hübler is the first named inventor on the patents at issue and also one of the authors of the prior art article and that Bayer provided the TU ampules used for the testing. I believe that the answer here is that Bayer only runs into trouble here if (1)the experiments count as commercialization under cases such as Metallizing Engineering or (2) Bayer somehow abandoned the invention. Neither of these appear appear to fit here. Depends what you mean by “limited”. This is the same Federal Circuit that preposterously expanded the inherency doctrine beyond novelty into obviousness. Can you expand on what it is that you find preposterous? I seem to recall the topic, but not the particulars. The idea behind inherent anticipation is that if a reference discloses what you’re claiming, even if no one appreciated that it disclosed what you’re claiming, then your claimed invention lacks novelty. For example, the reference says that they administered drug X to 10 patients with condition Y. If you later find that drug X causes effect Z in all people with condition Y, then a claim like “A method of effecting Z in a person with condition Y comprising administering X to said person”, that claim is inherently anticipated, because the reference already described administering X to person with Y, and inherently effect Z was achieved, even though the neither authors of the reference nor anyone else appreciated that fact until you later discovered that fact. See e.g. Schering v Geneva Pharmaceuticals (CAFC 2003). On the other hand, to say that something was *obvious* in view of of a reference necessarily means that you (or, for present purposes, a PHOSITA) appreciates what the reference teaches. It’s absurd to say something is inherently obvious when no one, not even the mythical PHOSITA, appreciated what the reference inherently taught. Nevertheless, that’s what judges Rader, Linn and Moore did in the 2011 In re Kao decision (not with the case that was remanded to the BPAI but with one of the rejections that was sustained). And rehearing and rehearing en banc were denied. In re Kao – Thanks! It’s absurd to say something is inherently obvious when no one, not even the mythical PHOSITA, appreciated what the reference inherently taught. I think whether or not it’s “absurd” to say that depends on the facts, i.e., the particular claim at issue and the relationship of the elements in that claim to the elements taught in the art. Surely it’s not the case that I can discover an “inherent” property of a composition taught in prior art reference X and then overcome obviousness simply by reciting the inherent property and some other obvious variation (“wherein the composition is stored in a container”) that is taught in reference Y. You are muddling different things here Malcolm. He is not saying that an obviousness analysis is forbidden for combinations of different items. He is saying that the concept of inherency only applies to a novelty evaluation. This is just not the same thing as “don’t evaluate for obviousness outside of and not including the inherency doctrine. He is saying that the concept of inherency only applies to a novelty evaluation. That is what he is saying and he is wrong. I’ve demonstrated why he’s wrong. Feel free to address the points I actually made. You have demonstrated nothing with your muddling. Except maybe that you like to muddle and get things wrong. You have certainly not provided anything close to a demonstration of why the concept of inherency only applies to a novelty evaluation. Instead – as I pointed out – you have muddled and moved the goalposts to some argument that no one is making (that an obviousness analysis is forbidden for combinations of different items). I agree – an interesting “apples and oranges” juxtaposition of the different patent concepts.